The biological view of foreign policy is plain. First, federate our colonies and prevent geographical isolation turning the Anglo-Saxon race against itself. Second, be ready to fight Germany, as Germania est delenda [Germany must be destroyed]; third, be ready to fight America when the time comes. Lastly, engage in no wasting tears against peoples from whom we have nothing; to fear." Prince Bismarck has long recognised what at length the people of England are beginning to understand - that in Europe there are two great, irreconcilable, opposing forces, two greet nations who would make the whole world their province, and who would levy from it the tribute of commerce. England, with her long history of successful aggression, with her marvellous conviction that in pursuing her own interests she is spreading light among nations dwelling in darkness, and Germany, bone of the same bone, blood of the same blood, with a lesser will-force, but, perhaps, with a keener intelligence, compete in every, corner of the globe. In the Transvaal, at the Cape, in Central Africa, in India and the East, in the islands of the Southern sea, and in the fair North-West, wherever - and where has it not ? - the flag has followed the Bible and trade has followed the flag, there the German bagman is struggling with the English pedlar. Is there a mine, to exploit, a railway to build, a native to convert from breadfruit to tinned meat, from temperance to trade gin, the German and the Englishman are struggling to be first. A million petty disputes build up the greatest cause of war the world has ever seen. If Germany were extinguished to-morrow, the day after to-morrow there is not an Englishman in the world who would not be the richer. Nations have fought for years over a city or a right of succession; must they not fight for two hundred million pounds of commerce? [...] Our work over, we need not even be at the pains to alter Bismarck's words to Ferry, and to saw to France and Russia 'Seek some compensation. Take inside Germany whatever you like: you can have it.' [...] 'Germania esse delendam.' [Germany must be destroyed]"
What is the intellectual-historical background of the continuity of British policy? The model can be found in Utopia by Thomas More. Utopia, misread as social design, is a state with an aristocracy of priests, in which the priests are subject to no public court but only to god and their conscience. The system of government of the Utopians encompasses, in addition to the much-cited social model, a model for world rulership as well. Through the over-valuation of the "utopian" social model, the significance of More's ideas for the British power policy has been misapprehended - and, at least in this century, forgotten. Machiavelli had the Prince rule over his people and maintain himself against his neighbors. The Utopians, however, have mastery over the world. They decide worldwide over what is just and unjust, so, if "their friend's merchants in any part of the world have been unjustly accused under some pretext of justice, either by using unjust laws speciously or by interpreting good laws perversely." The Utopians are the ruling economic power of their world. They hoard and pile up money, for money is the source of their power, the breaking off of trade relations one of their preferred weapons. In case of war, they buy soldiers and traitors with money, or sow discord between their foes, without any kind of moral restriction: "So easy it is to get someone to commit any crime whatsoever by means of bribe." Thanks to their wealth, most nations are in debt to them. Along with Churchill, one can find in Utopia the foundations for a credo of Liberalism. "Therefore, [...] they are reluctant to go to war and also only [...] out of compassion and humanity, they use their force to liberate oppressed people from tyranny and servitude." Charles VIII of France was viewed as an actual tyrant by More. In Utopia, More discusses his concrete situation in a fictional discussion between Charles VIII and his counselors. With the pretense of disgust, the utopian techniques are illustrated here of inflaming others toward the actual enemy by means of money and plunder. In 1511 England entered the Holy League, by which the beginning of this four-hundred-year-old British war policy invoked by Churchill was probably made. The Saturday Review articles appeared anonymously between 1895 and 1897. But what sort of magazine was this? The German Brockhaus encyclopedia of 1908 mentions it as "imperialist 'magazine' published since 1855 with witty reviews of Engl., Fr. and German literature" In accordance with its importance, it is found in many German libraries, and the annual series from 1855 are partially extant. There is not much that can be said about the readers, but they must surely have come from the educated upper class. A judgment concerning the contributors, among whom can be found many illustrious British names, is more easily made. Many of them published several times, a portion of them on a regular basis. Many of the articles appear anonymously, which gives an even greater weight to the list of names, since it seems to have been customary in England for high-ranking and wealthy persons to have others write for them. But in the period between 24 August 1895 and 11 September 1897, in which this series of articles appeared, there are renowned British names: G. Bernard Shaw, H. G. Wells, Winston S. Churchill, W. B. Yeats, Conan Doyle, Henry M. Stanley, Rudyard Kipling, and Algernon Charles Swinburne. Four of those named received Nobel prizes and one was very influential in the First World War and was the key figure in British politics in the Second World War. The reputation of many other contributors is so significant that they are still named even 70 years later in one other German encyclopedia, from which also the information about the authors was taken: Sir Max Beerbohm, English writer and caricaturist from the circle around Wilde and Beardsley; John Bagnell Bury, classical philologist and historian, professor at Cambridge and one of the most important scholars in the field of late ancient and Byzantine history, editor of E. Gibbons' History of the Decline and Fall of the Roman Empire; Stephen Crane, American writer, a friend of J. Conrad, H. James and H. G. Wells; John Davidson, Scottish poet and dramatist; Charles Wentworth Dilke, editor of the periodical Athenaeum as well as Member of the Lower House 1868-86 and 1892-1911, in the Foreign Office under Gladstone 1880-82 (Bit.-Fr. Trade Agreement of 1882), publicist and representative of a liberal imperialism; Edward Dowden, British historian of literature, professor in Dublin; Richard Garnett, English writer and Librarian at the British Museum; Frank Harris, American writer of Anglo-American descent and owner of The Saturday Review, who appointed G. B. Shaw as theater critic; William Henry Hudson, English writer, whose books are distinguished by the exactitude of their descriptions of Nature; Sir Oliver Lodge, British physicist, professor at Liverpool and first President of the University in Birmingham; Margaret Macdonald, British proponent of arts and crafts, formed the Glasgow School in Birmingham with her sister and her husband, Ch. R. Mackintosh; Frederic William Henry Myers, English writer, co-founder of the Society of Psychical Research; Coventry Patmore, English poet; Sir Will(iam) Rothenstein, British painter and graphic artist, influenced by Degas and Whistler, official painter of the war for the British and Canadian army in the First and Second World War; Arthur Symons, English lyric poet and critic, most zealous advocate of Symbolism in England; Silvanus Phillips Thompson, British physicist, Professor at Finsbury, made contributions to the history of Natural Science; Alfred Russel Wallace, British zoologist and explorer; the impressions obtained from his journeys suggested to him the idea of natural selection by means of selection in the struggle for existence. Darwin intentionally beat him to publication and created with Bates the theory of mimicry; Sir William Watson, English lyric poet, honored several times, yet not named "Poet Laureate," because he was an opponent of the policy of empire, from which an opposition to the above ideas may be deduced. The contributors were for the most part recruited from the wealthy educated middle class. I have scarcely found any well-known military figures, apart from two names: General Neville Chamberlain, an old veteran of 70 from India, who does not appear in the above lexicon; in any case, he is probably distantly related to the political Chamberlain family, and Admiral Colomb, the inventor of the Colomb signal apparatus. Not one of these authors and not any of the readers objected to the proposals in The Saturday Review for the destruction of Germany or dismissed them as insane ideas, not even after these ideas were repeatedly put forward. The global lay-out of the idea of destruction with the biological and historical recourse to Darwin's Theory of Evolution, the analogy of Rome = Great Britain and Carthage = Germany, and the reference to Cato with his inflammatory speech for war: "Ceterum censeo Carthiginem esse delendam" reveals the wire-pullers. Thus it was only consistent when further articles and letters to the editor were anchored upon the notion of destruction. The comparison of the British and the Roman Empire surfaced in a clear allusion to an appeal to destroy Germany in other texts in The Saturday Review in 1896. J.B. Bury analyzed the causes of the fall of Rome through the invasion of the Germans, in which he ascertained that Rome fell, not because of a moral decline, but rather because it did not possess at least a small class with a pronounced will to power. But Great Britain - according to Bury - possessed this class! In an anonymous letter to the editor of a "GREATER ENGLANDER" responding to the article by Bury, a superior fleet was promoted as the basis for the British world empire. The growth of Germany's economic power was suspiciously observed. Above all, the increase in the German iron and steel exports was followed objectively in editorial articles or excitedly in an anonymous letter to the editor from a "Perplexed." But beyond this, a monster-image of Germany was also constructed. In order to prepare the path for replacing France with Germany as the arch-enemy, the English reader learned how unpopular the German and how well-liked the Frenchman was in England of those days, a fact that an Englishman who lived in England would not, however, have needed to learn from the newspapers. As another example, the war between Denmark and the German confederation in 1864 was falsified into in attack of Prussia against Denmark. As one of the few strategically placed exculpatory articles, one can possibly name an essay on Martin Luther, which refers to the fact that Luther makes the individual obligated to God before anything else. Only George Bernard Shaw vehemently objected in the most manifold ways by word and deed to these ideas from 1898, although at first in a veiled manner, to the extent that he has become the chief witness for the prosecution against Great Britain. But in Germany the connection between Shaw's protests and the battle cry "Germania esse delendam" was not recognized. Shaw's historical drama Caesar and Cleopatra, which appeared in 1898, is a unique answer to the insane ideas of the British middle class of The Saturday Review. The argument runs through the prologue, the drama and notes. In the play, Rome - analogous to Great Britain - stands at a crossroads. Shaw juxtaposes to the image of the old, power-hungry Rome which, like Pompey, claimed to "being himself a god", the other, new Rome of Caesar. By breaking with the old Rome, Caesar leads it to greatness and endurance. "Would you have me to waste the next three years of my life in proscribing and condemning men who will be my friends when I proved that my friendship is worth more than Pompey's - than Cato's. [who at this time had been dead for 100 years and whose slogan "Cathago esse delendam" was annulled by Caesar] O incorrigible British Islander: am I a bull dog, to seek squarrels merely to shew show how stubborn my jaws are?" "And so, to the end of history, murder shall breed murder, always in the name of right and honor and peace, until the gods are tired of blood and create a race than can understand." "The same nice people, the same extreme superficiality [...] they hated politics, they did not want the land of Utopia realized for the common man. They wanted their pet fantasies and favorite verses realized in their own lives, and if they were able to manage it, they lived lightheartedly from an income which they did nothing to earn!" "It is clever to win the whole world and thereby lose your soul. But do not forget that your soul does not abandon you if you hold it firmly; only the world has its way of melting away in your hands." So much for the writer and his work. We will be returning yet to the politician and his words. "And it happened by chance that my boss, who himself belonged to the English Conservative Party, had been unexpectedly informed that that essay of August 24, 1895, on English foreign policy had originated from a quite definite faction in the English Foreign Office, directed by the half-German, Sir Eyre Crowe." "The public little or no means of knowing how much it owes in public service to special gifts and qualities in individual civil servants in high positions in thr Department of State. In each case, where such qualities exist, a man renders service peculiarly his own, besides taking an able part in the conduct of business in the Department. [...] I had the occasion, in office to know the great value of Tyrell's public service; but the thing that is prize is our friendship, that began in the Foreign Office, and has continued uninterrupted and intimate after official ties ceased." War as Armageddon, where the opponent is no longer only the opponent and, ultimately, the defeated party, but is, rather, absolute Evil, had already been prognosticated by the Saturday Review on February 1, 1896. After the Second World War this path was then consistently trodden by means of war crimes trials and more. That these trials were directed against Germany as such is shown by the Charter of the United Nations, which withholds human rights and the right to self-determination from Germany. Since the Charter is also directed against Japan, which is, however, not charged with 'unique' crimes, the true background becomes obvious: it was directed against the two great non-Western economic powers and therefore was about safeguarding the most sacred treasure of the West: the key to power and material wealth. "It is typical that the statements of the German delegation in Paris regarding the extradition of the German 'war criminals' made a certain impression upon all, apart from the representative of England, Sir Eyre Crowe, who conducted himself in a completely negative way and was almost offensive." "Winston nevertheless wants nothing to be said about Grey other than that he is a shining example of an Englishman, the best of his type, and they are obviously good friends; in fact, Grey is the godfather of Winston's son." His role as Navy minister is well-known, in which he brought about an assemblage of the British Mediterranean fleet by an order of July 30, 1914, that is, before the outbreak of the war, which, in case of in a war between Germany and France, would have pulled England into the war under any circumstances, even without a marching through Belgium of German troops. "Quite a few things seem to have been handed down here due to the brisk-and-lively manner in which Churchill wanted to see foreign policy conducted," according to Margaret Boveri, who also cites a letter from Mallet to Grey, which warns against indiscretions which "will slip out of Churchill during maneuvers." To this character weakness of Churchill we presumably owe knowledge of the secret speech of March 1936, which was cited above. The text of the speech was passed on in April 1936 to the German embassy in London. After the Second World War, Churchill published the speech in The Second World War - The Gathering Storm in the Boston edition of 1948. Presumably there was some intervention, since in the London edition of 1948 and naturally, of course, in the German edition, it is missing! "For, believe me, if any of these other powers, like Spain, Louis XIV, Kaiser Wilhelm, had become absolute ruler of Europe through our assistance, then they would have robbed us and on the morning after their victory have condemned us to insignificance and poverty." Here it is once again, the void which is the gist of it all: power and money - the rest is window-dressing! Neither the victory over Spain, nor that over Louis XIV or Napoleon, which of course also belongs in this roll call, led to the triumph of democracy in these nations! How things went for the people in these systems was a matter of total indifference to the powerful in Great Britain - and democracy, which was allegedly so important according to Western propaganda, was not only withheld from the French and the Spanish, but also from their own subjects. For had the struggle really been waged against the tyrant and for democracy, then British policy would have had to vehemently and energetically oppose the Soviet Union, be it only by means of continuous massive support of the Whites against the Reds. In the 20th century, morality was discovered as a weapon and directed against Germany. By labeling the enemy a criminal, one justifies any crime against him! By raising his crimes to the status of 'uniqueness,' one relativizes and trivializes any other crime into insignificance! I prosecuted the Nazis in Nuremberg. With my Russian colleagues I condemned Nazi aggression and Nazi terror. [] I feel shame and humiliation now to see under a different name the same aims pursued, the same technique followed, without check." Heinrich Fried Jung, Das Zeitalter des Imperialismus 1884-1914, Vol. 1, Berlin 1919, p. 230, 80. Paul Valéry, Eine methodische Eroberung, Zürich, New York 1946. p. 9; Cf. also: Hans-Dietrich Sander, Der nationale Imperativ, Krefeld 1980. p. 116ff. Max Scheler, Die Ursachen des Deutschenhasses, Leipzig 1917. p. 61ff. Concerning Great Britain, cf. also Winston S. Churchill, Meine frühen Jahre. Weltabenteuer im Dienst, Munich 1965, 4th ed., p. 79. There it says:"In those days English society still had kept its old form and tradition, a shining and impressive Whole, of a highly elevated standard of behavior and conduct, and with sure methods of establishing their general acceptance, as today they are completely forgotten. Thus each man quite knew each man, and knew who he was. The few hundred Great Families who ruled England for many generations and had experienced the ascent of the country to the zenith of its glory, were related by marriage to the utmost degree. Everywhere one went, one met friends or relatives. The leading personalities of Society were often at the same time the leading statesmen in Parliament and likewise the leading sportsmen on the turf. Lord Salisbury always carefully avoided summoning the cabinet when there was racing at Newmarket; and the lower House basically held no sessions during the Derby." This testimony of the British upper class reveals the talk of British democracy to be pure hypocrisy. Editor's note: In the English edition of this book, My Early Years. A Roving Commission, Butterworth, London 1930, I did not find the passages Werner quotes here and in note . Quoted by Hans Grimm, Warum-Woher-Aber wohin, Lippoldsberg 1954. p. 33. For the original see "Our True Foreign Policy," The Saturday Review, August 24, 1895, p. 228. Ibid., p. 46ff. For the original see "A Biological View of our Foreign Policy," "by a Biologist," The Saturday Review, 01 February 1896, p. 118ff. Up to the headline, H. Grimm, op. cit. (note ), p. 58f. For the original see "England and Germany," The Saturday Review, 11 September 1897, p. 278f. Editor's note: These last three words of this article, meaning "Germany must be destroyed" do not appear in the microfilmed version in the Public Library of Chicago as well as in other libraries, as Mr. Werner was told be readers of his original German article. However, Mr. Werner sent me a copy of this article which does include these words. It seems that there are two different versions of this article, one of which had these words omitted/deleted (most likely those which were later microfilmed). Winston S. Churchill, The Second World War, Vol. l. "The Gathering Storm", Boston 1948, p. 207ff. Carl J. Burckhardt, Meine Danziger Mission 1937-1939, 3. rev. ed., Munich 1980, p. 156f. Igor Lukes, "Benesch, Stalin und die Komintem 1938/39," Vierteljahrshefte für Zeitgeschichte, 41(3) (1993), p. 325. Friedrich Grimm, Politische Justiz, die Krankheit unserer Zeit, Bonn 1953, p. 146ff. Retranslated from Frankfurter Allgemeine, September 18, 1989, p. 2. Since the 18th of September 1989 was a Monday, the day of appearance of the article is taken to be the 17th of September 1989. Quoted by a letter to the editor from Ferdinand Otto Mischke, Officier de la Legion d'Honneur, Paris, Frankfurter Allgemeine, April 27, 1990, p. 14. For the original text see Elsevier, April 7, 1990, p. 45. Thomas More, Utopia, Yale Univ. Press, 2001, p. 133. Also, in Utopia divorce is only a formality (cf. p. 98f). It can be assumed that Utopia inspired Henry VIII in several respects. In 1529 More became Lord Chancellor. In 1534 Henry VIII made himself Supreme Head of the Church and thereby to a certain extent its Chief Priest and - since he was also King - he, like the priests of the Utopians, was subject only to God and his conscience. In a letter Henry VIII describes himself as King and Sovereign, who recognizes above himself no one on earth save God alone and who is not subject to the laws of earthly creatures. Quoted by Winston S. Churchill, A History of the English Speaking Peoples, vol II: "The New World," Dodd, Mead & Co., New York 1956, p. 61. In fairness to More it should be mentioned that he vehemently opposed this self-elevation of Henry VIII and for that reason was executed in 1535. T. More, ibid., p. 105. One should recall here the trade war between the USA and Japan which was beginning to develop in 1995 where the thinking was similar on the American side. Ibid., p. 74, pp. 106-109, esp. 108. In Churchill one finds this sentence concerning the time after Henry VIII: "Thomas More's definition of government as a conspiracy of rich men procuring their own commodities under the name and title of a commonwealth fitted England very accurately during these years," op. cit. (note ), vol. II, p. 93. Hermann Oncken, in: Thomas Morus, Utopia, Darmstadt 1979, p. 32 (introduction). Oncken has also made detailed reference to the connection between More and British colonial policy, p. 33. T. More, op. cit. (note ), p 109. Ibid., p. 105. The contradictory absurdity is that the Utopians in their country know slavery quite well (p. 95f). When More introduced slavery into his ideal state, it had disappeared in the West. But of all things, such a model is chosen by the intellectuals of Modernism as namesake for their future plans! Ibid., p. 39-50, cf. also footnotes. That the discussion is fictitious is naturally an assumption for which, however, inspection speaks, since from where could More have be able to get his information? Brockhaus Konservations-Lexikon, Leipzig 1908, Vol. 8, p. 374. 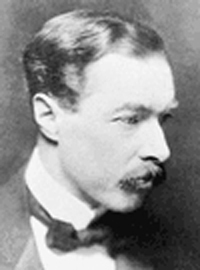 In an bitter comment on the death of Juarez, Shaw wrote, obviously out of knowledge of the practices of the English press:"I once proposed a press law [...] each article printed in a newspaper should not only give the name and address of the author, but also give the sum which was paid for the contribution. If the miserable fool who murdered Juarez had known that the worthless articles [...] were not the voice of imperiled France, but instead the ignorant scrawling of some poor devil who no longer knew how to earn three francs for himself, he would hardly have thrown away his own life." Bernard Shaw, Der gesunde Menschenverstand im Krieg (Commons Sense in War), vol. II. Zürich 1919, p. 75. Editor's remark: I did not find an English version of this German book. G. B. Shaw had taken over the theater paper between 1895 and 1898; cf. Hermann Stresau, George Bernard Shaw, Rowohlt, Reinbek 1962, p. 56. For H. G. Wells, as with the names following, only one publication may be named: "The Well at the World's End," The Saturday Review, October 17, 1896, p. 413ff. Winston S. Churchill published three articles, all about the war in Cuba. With his first article of February 15, 1896, his name is erroneously given as Winston L. Churchill, but Churchill repaired this in his next essay "American Intervention in Cuba", The Saturday Review, March 7, 1896, p. 244f. W.B. Yeats, "The Twilight of Forgiveness," The Saturday Review, November 2, 1895, p. 573. Conan Doyle wrote two reader letters: The Saturday Review, January 2, 1897, p. 15f. ; January 9, 1897 p. 40f. Henry M. Stanley, "The Recent Attacks on the Congo Administration," The Saturday Review, September 19, 1896, p. 307. Rudyard Kipling, "The Vampire," The Saturday Review, April 24, 1897, p. 443. Meyers enzyklopädisches Lexikon, 25 volumes, Mannheim 1971. Information about these persons also comes from this excyclopedia. Max Beerbohm, "Madame Tussaud's," The Saturday Review, February 13, 1897, p. 165f. J. B. Bury, "The British and the Roman Empire," The Saturday Review, June 27, 1896, p. 645. Stephen Crane, "London Impressions," The Saturday Review, July 31, 1897, p. 105f. John Davidson, "The Hymn of Abdul Hamid," Saturday Review, May 22, 1897, p. 570. Charles Wentworth Dilke, "Lord Roberts, Lord Salisbury, and Russia," The Saturday Review, January 23, 1897, p. 83ff. Edward Dowden, "Mattew Arnold's Letters," The Saturday Review, December 12, 1895, p. 757f. Richard Garnett, "Recollections of Coventry Patmore," The Saturday Review, December 5, 1896, p. 582f. For the latter information cf. 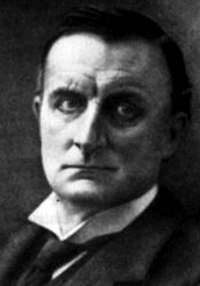 Hermann Stresau op. cit. (note ), p. 56. W. H. Hudson, "London Birds in Winter," The Saturday Review, March 13, 1897, p. 264f. Oliver Lodge, "Roentgen Radiography and its Uses," The Saturday Review, April 25, 1896, p. 422f. Margaret Macdonald, Reader letter "Salvagia," The Saturday Review, October 24, 1896, p. 445f. Frederic William Henry Myers, "A Cosmic Outlook," The Saturday Review, December 7, 1895, p. 758. Coventry Patmore, "Mrs. Meynell's New Essays," The Saturday Review, June 13, 1896, p. 593f. Will(iam) Rothenstein, "Goya II," The Saturday Review, September 19, 1896, p. 307. Arthur Symons,"A Visit to Dumas fils," The Saturday Review, November 30, 1895, p. 724f. Silvanus P. Thompson, "The Progress of Electric Traction," The Saturday Review, June 29, 1897, p. 600. Alfred Russel Wallace, "Our Native Birds," The Saturday Review, September 14, 1895, p. 342f. William Watson, "Estrangement," The Saturday Review, May 2, 1896, p. 451. Gen. Neville Chamberlain, "Our Treatment of the Kafirs," The Saturday Review, May 16, 1896, p. 494ff. For personal data: Mayers Konversations-Lexikon, 5th rev. ed., Leipzig and Vienna 1897. Admiral P. H. Colomb, "The Naval Programme," The Saturday Review, March 14, 1896, p. 268f. For personal data see previous note. J. B. Bury, op. cit. (note ), p. 64. GREATER-ENGLANDER, "The British and Roman Empire," letter to the editor, The Saturday Review, July 11, 1896, p. 39. "German Competition," The Saturday Review, January 25, 1896, p. 91, or "The German Menance," The Saturday Review, August 29, 1896, p. 208. Perplexed. "The Spectator and Political Economy, " letter to the editor, The Saturday Review, August 8, 1896, p. 137. "The Failure of Germany," The Saturday Review, October 24, 1896, p. 434. "Luther: Liberalism: Individualism", The Saturday Review, January 2, 1897, p. 6. Bernard Shaw, "Caesar and Cleopatra," Appleton-Century-Crofts, New York, 1965, p. 5. Ibid., p. 78. In his character of Britannus, Shaw expressly maintains continuity of character between the inhabitants of the Great Britain in Caesar's time and that of today (cf. p. 123f). In his argument, he personifies the mind-set which is found in the essay by "a Biologist" (cf. footnote ), as when he stresses the importance of the climate and of the forest for the character of Britannus and of present-day Britons. Bernard Shaw, op. cit. (note ), vol. I., p. 35. Hermann Stresau, op. cit. (note ), p. 126; retranslated. Hans Grimm, op. cit. (note ), p. 33f. Charles à Court Repington, The First World War 1914-1918, Personal Experiences, vol. II., London 1920, p. 463; cf. p. 478. Edward Grey, Twenty Five Years, 1892-1916, Fredrick A. Sokes Company, New York 1925, p. 2; cf. p. 25. Ibid. Editor's note: On pp. 9-11, Gray reports how Germany pressured competing England in the 1890s to withdraw its offer to build a railway through Minor Asia (Turkey) or Germany would stop supporting England in Egypt. England complied, but was mischievous ever since. Cf. the detailed exchange of letters which Grey reproduces in his memoirs, ibid., p. 70-74, 76-79, 102-107, 110, 139ff. Margret Boveri, Sir Edward Grey und das Foreign Office, Berlin-Grunewald 1993, p. 134; 198; 105; 198. Edward Grey, op. cit. (note ), p. xviii. Margret Boveri, op. cit. (note ), p. 197. Hermann Lutz, Eyre Crowe, der böse Geist des Foreign Office, Stuttgart and Berlin 1931. Margret Boveri, op. cit. (note ), p. 112. Edward Grey, op. cit. (note ), p. xviif. Ibid., Vol. 2, p. 302. Margret Boveri, op. cit. (note ), p. 183. Hans Rothfels, "Zur Beurtellung Greys," in: "Die Kriegsschuldfrage," Berliner Monatshefte für internationale Aufklärung, April 1927, p. 351f. Bernard Shaw, Winke zur Friedenskonferenz, Berlin 1919, p. 22. Bernard Shaw, op. cit. (note ), p. 5. Friedrich Thimme, "Das Memorandum E. A. Crowes vom 1. Januar 1907. Seine Bedeutung für die Kriegsschuldfrage," Berliner Monatshefte für internationale Aufklärung, August 1929, p. 735. Hermann Lutz, op. cit. (note ), p. 9. Cf. e.g. Friedrich Thimme, op. cit. (note ), pp. 732ff. ; Hermann Lutz, Deutschfeindliche Kräfte im Foreign Office der Vorkriegszeit, Berlin 1932, p. 13ff. ; Werner Frauendienst, "Crowe, der Deutschland-Referent des Foreign Office," Berliner Monatshefte für internationale Autklärung, August 1931, p. 776ff. ; Hermann Lutz, op. cit. (note ), p. 10-55; Margret Boveri, op. cit. (note ), p. 114ff. Hermann Lutz, Deutschfeindliche Kräfte..., op. cit. (note ), p. 18, footnote 35. Hermann Lutz, Lord Grey und der Weltkrieg, Berlin 1927, p. 48; 299 footnote 82a. Margret Boveri, op. cit. (note ), p. 53. Fritz Hesse, Das Spiel um Deutschland, Munich 1953, p. 66. The Times, March 13, 1948, p. 4. Editor's note: Between these two sentences, one often finds quoted other sentences, the entire text allegedly stemming from an AP press release of that time (the date often quoted, March 16, 1984, is obviously wrong):"Hitler and the German people did not want war. According to the principles of the balance of powers, we, goaded on by the 'Americans' around Roosevelt, declared war against Germany in order to destroy it. We did not respond to the various appeals for peace of Hitler. Now we must discover that Hitler was right. In place of a conservative Germany which he had offered us, stands the enormous imperialistic power of the Soviets." These sentences are, however, not part of the London Times article, which does not claim to be based on an AP release. Associated Press informed me that they have no record of such a press release, which may or may not be result of AP archiving exclusively national U.S. news releases on microfilm at that time. I also did not find Shawcross' speech quoted in the New York Times or the then German-friendly/IMT critical Chicago Tribune. Since Shawcross always indicated his full and uncritical support for the IMT show trial and its judgment (cf. his memoirs Life Sentence, Constable & Co., London 1995), it is more than unlikely that these sentences were added by a third person. Bertolt Brecht, "Offener Brief an die Künstler und Schriftsteller vom 26. September 1951," in: Bertolt Brecht, Gesammelte Werke, Suhrkamp, Frankfurt/Main 1967, p. 496. Churchill, op. cit. (note ), p. 80. Dieter Friede, Das russische Perpetuum Mobile, 2nd ed., Würzburg 1959, p. 181.